Fish oil is a powerhouse supplement that can affect everything from our mood to the function of our internal organs. The driving forces behind its superpowers are Omega-3 fatty acids, or “healthy fats,” which include DHA (docosahexaenoic acid) and EPA (eicosapentaenoic acid). These two fatty acids are considered to be the most important for health. Even though our bodies require Omega-3 fatty acids for essential functions such as cell growth and muscle activity, our bodies don’t make them. As a result, we have to find them in food or supplements. Fish oil can be found in pill, capsule and liquid form. Fish oil liquid is usually preferred by those who struggle to swallow larger pills (x). Scientific studies have proven that fish oil can be as effective as medicine to fight depression and rheumatoid arthritis symptoms. It can also benefit the skin in a variety of ways, including reducing acne. Internally, fish oil improves heart health, reduces triglycerides, guards against dangerous blood clots, raises good cholesterol levels and lowers blood pressure. 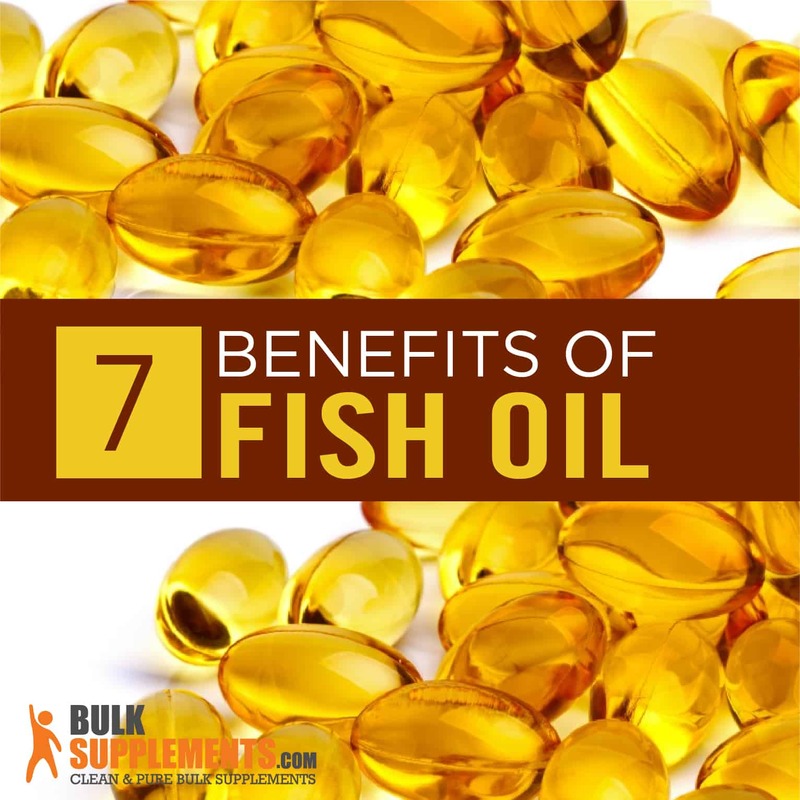 Externally, fish oil can help individuals lose weight and increase their muscle mass. It can even improve athletic performance. How can fish oil benefit you? What foods can you find it in? Is it different from krill oil? Should you be aware of any side effects? Is it possible to take too much? Depression can be debilitating to people on a daily basis, causing weight gain, fatigue and a weakened immune system. In an 8-week study, EPA, one of the Omega-3 fatty acids found in fish oil, was found to have the same effect on patients as an antidepressant on those with depressive disorder (x). The acids found in fish oil function as an antioxidant that helps heal your skin in a variety of ways. It has been proven to speed up wound healing, guard against UV rays and protect collagen against premature aging. It has even shown promise in treating skin cancer, melanoma, psoriasis and atopic dermatitis (x). Instead of high-dollar medications to fight pimples, consider using fish oil for acne. It is a low-cost option that decreases facial hair follicle inflammation which causes the blockages that result in acne. High levels of fatty acids have been proven to reduce acne by reducing the inflammatory factors (x) (x). The Mayo Clinic cites research that individuals who consumed fish oil supplements for at least six months reduced their risk of congestive heart failure, arrhythmias, heart attack, heart disease, death and other heart-related events (x). The body creates triglycerides when it digests and breaks down the fat in foods. High concentrations of triglycerides in the body put individuals at a greater risk for stroke. The Omega-3 fatty acids in fish oil have been found to significantly reduce fasting triglyceride levels, indicating that taking a fish oil supplement is beneficial for heart health (x). A platelet is a tiny blood cell that helps form blood clots, which in turn stop the body from bleeding. Unfortunately, blood clots that build up inside a vein can pose a danger when they travel to other parts of the body. They can be deadly, especially in the case of pulmonary embolisms, which occur when a blood clot is carried to the lungs. Fish oil supplement can function as a blood thinner to stop dangerous blood clots from forming in the first place (x) (x). There are two types of cholesterol. LDL is considered the “bad” cholesterol because high levels of LDL could mean a build-up in your arteries. HDL is the “good” cholesterol because its function is to carry cholesterol to the liver where it can be cleared out of the body. One study found that fish oil does not lower the cholesterol of people with normal blood pressure, but it could increase the level of HDL or “good” cholesterol in women. Other fish oil cholesterol research studied the independent effects of DHA and EPA on LDL. The results showed that DHA could increase LDL, the “bad” cholesterol, by up to 16%, and EPA may slightly decrease LDL. As a result, individuals with borderline levels of LDL should look for fish oil supplements with higher amounts of EPA and significantly lower amounts of DHA (x) (x). The American Heart Association explains that high blood pressure occurs when “the force of your blood pushing against the walls of your blood vessels, is consistently too high.” Over time, this increased pressure can take its toll on your heart, causing it to weaken and even become less efficient. As a result, doctors offer different methods to help patients lower their blood pressure, one of those being fish oil supplements. Among all the research done on its effect on blood pressure, 31 studies proved that the supplement helps to alleviate the issue (x) (x). According to the Arthritis Foundation, over a million people in the United States suffer from rheumatoid arthritis. Here, the body’s immune system attack the joints, causing inflammation in the tissue lining the inside of the knees, ankles, feet, wrists, or hands. If left untreated, mobility is affected as joints become deformed or unstable. People with rheumatoid arthritis also experience chronic pain. Fish oil proves to be an effective way to decrease symptoms. Sixty-six patients with Rheumatoid Arthritis were given fish oil supplements or placebos. At the conclusion of the study, the patients taking fish oil had fewer tender joints, a shorter duration of joint stiffness in the morning and a decrease in their feelings of pain. Some patients have found that taking fish oil allows them to stop taking NSAIDs without any adverse effects (x). The websites dedicated to fish oil as promoting weight loss and fish oil as enhancing bodybuilding are right! Science has proven that consuming fish oil can increase muscle mass while decreasing body fat. One study found that adults taking a fish oil supplement lost weight and gained over 1 pound of lean muscle tissue. It was also found to increase older women’s metabolic rate while increasing their lean muscle mass (x) (x). One reason that an individual can both lose weight and increase muscle mass simultaneously is that fish oil positively affects the base metabolic rate. A higher base metabolic rate means the body is burning more calories. This typically occurs as a result of increased muscle mass — the more muscle your body has, the more calories it burns when it is resting. VO2 max is a measure of the maximum amount of oxygen an individual can take in during intense exercise. As VO2 max increases, the athlete becomes able to work out longer at a higher intensity (x). Hyperlipidemia is the scientific word assigned to people who have high cholesterol. Thirty-four hyperlipidemic individuals participated in a study on the effects of fish oil and aerobic exercise. Those who consumed fish oil and participated in aerobic exercise saw both a decrease in body fat and an increase in their VO2 max (x). To maximize the benefits you receive from consuming fish, broil or bake it; avoid frying. If eating fish is not an option, a fish oil supplement is a great substitute. Fish oil and krill oil are similar yet different. The former is made from fatty fish, while the latter is made from small crustaceans. Both oils offer the Omega-3 fatty acids DHA and EPA. In fact, preliminary studies show that both fish and krill oils have the same effects: helping to alleviate rheumatoid arthritis symptoms and having a positive impact on heart health. They differ in that krill oil was found to be more effective against PMS and menstrual complaints. Also, fish oil is frequently less expensive than krill oil, and some studies suggest that people may only need to ingest half as much fish oil as krill oil to achieve the same benefits (x) (x). Bulksupplements.com recommends 2,000 mg of fish oil 2-3 times per day. The best time to take it is right before meals to reduce the likelihood of gastric side effects. The most common side effect of consuming fish oil is diarrhea. Other possible side effects are nose bleeds, flatulence, belching, nausea, indigestion and heartburn, rash and bad breath. Individuals with low blood pressure or taking blood pressure lowering medications. Fish oil has been proven to lower blood pressure. Individuals taking blood thinners or about to undergo surgery. Fish oil thins the blood. Individuals with a fish allergy. Vitamin A and Vitamin D levels can become toxic. 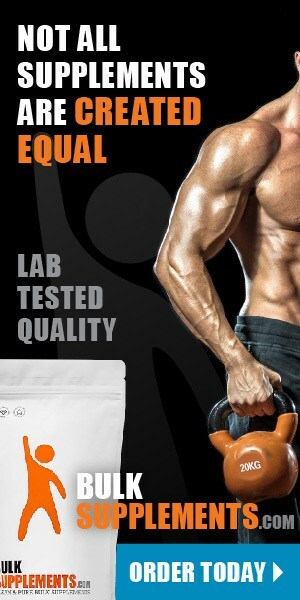 Be conscious of the vitamin content in your supplements. The immune system can be suppressed, making you more vulnerable to illness (x). While it is an ideal supplement for those who cannot consume fatty fish two times per week, it should not be consumed excessively. The risk of bleeding can increase (x). Fish oil’s Omega-3 fatty acids provide benefits we don’t want to live without! Fish oil helps relieve depression and rheumatoid arthritis symptoms, benefits the skin, improves heart health, helps with weight loss and increases muscle mass. Plus, it also has a positive effect on athletic performance. Fish oil can be a fantastic addition to your diet!